Everybody has a set of painfully annoying quirks they don't immediately recognize. Just ask my wife. She’ll tell you all about mine. As a community manager, you’re no different. There are aspects of your leadership and communication style that will inevitably rub some people the wrong way. So it helps to know where those blind spots are, so you can manage them. Today, I want you to consider your management style and the kinds of choices that may hurt your efforts to build a community. To do that, we’ll turn to an unlikely example: sports. Here are 5 ways one major league baseball team has severely alienated their fan base and weakened their community. After an abysmal 9-28 start to the 2016 season, the Atlanta Braves fired their manager Fredi Gonzalez, as well as bench coach Carlos Tosca. Gonzalez had been with the team since 2011 through various ups and downs — the high point being the Braves’ NL East Division win in 2013. Now, to be sure, personnel changes are a necessity in any organization. Sometimes you need a change to get things moving in the right direction. Nevertheless, the faces and personalities that lead your community are an important key to establishing stability. 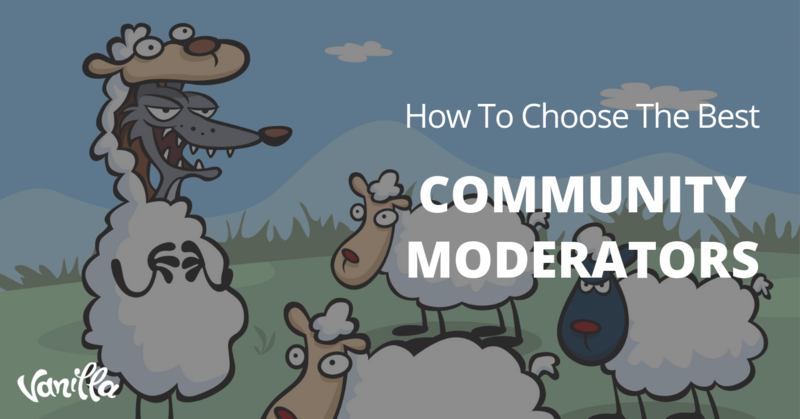 If you constantly shake things up by bringing in new moderators or community managers and ship out the old ones, you’ll set a fundamentally unstable tone for your community. Instead, focus on continuity and familiarity in leadership as much as possible. Gonzalez wasn’t the only familiar face to leave the Braves in those years. From the start of the 2014 season, a spate of poor managerial decisions led the team to lose all but 3 of the 40 men who played on the 2013 division-winning team. Their record then fell to a sad 158-212. When we're talking about a professional sports team and its fan base, the team's players are the community's preeminent members. 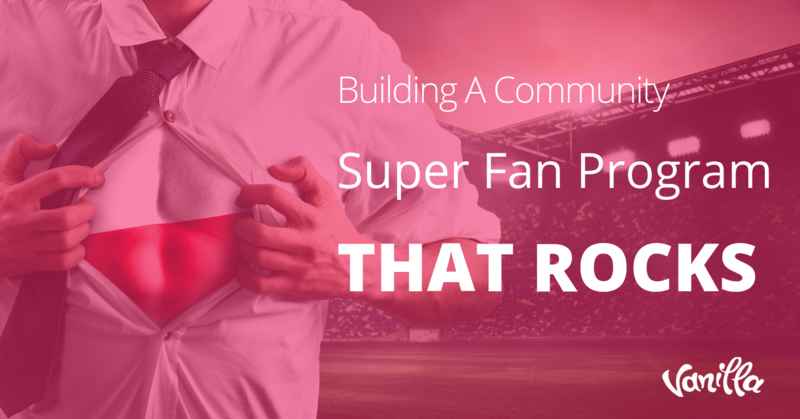 The athletes, along with the fans who watch them, are the community's most valuable resource. When a manager (baseball or otherwise) creates an environment in which members aren’t valued for their contributions, that community will lack cohesion. Members will never grow. Leaders will never emerge. Nothing will feel familiar, and everyone will seem like a stranger. To survive, you need to focus on valuing members and encouraging them to grow into the community, rather than out of it. In that kind of community, leaders will organically emerge, and everyone will feel as though they're a welcome member. In late 2013, the decision was made to leave the Braves’ 17-years-long home of Turner Field and build a brand new stadium in Cobb County. The team claims this new location will enhance their fans’ experience and ease commuting woes. Those fans, on the other hand, are skeptical. The new stadium, on most accounts, won’t be all that better than the old. In fact, the Braves’ core local fan base will likely find the new location far less convenient than the old. While management is counting on them to make the trek out to the new stadium, the team hasn’t really given them anything worth traveling for. Have they? Sometimes, you need to make changes. Sites may not work like they’re supposed to, or you may outgrow the capabilities of your first hosting platform. Unfortunately, you can't assume people will bear the inconvenience and automatically head over to your new venue. The key to successfully changing venues is to communicate clearly how the new site will serve your community members better than the old one. If you've built a community based on value, and you make it clear that you're doing this in their best interests, they'll come with you. If you don’t, they won’t. In other words, to the fans, turning a quick buck has become more important to the Braves’ owners than fielding a competitive baseball team. The fans want a winning team, and won’t keep buying tickets to Braves games if the ownership doesn’t get on the same page. Communities grow and evolve in different directions. That’s to be expected. 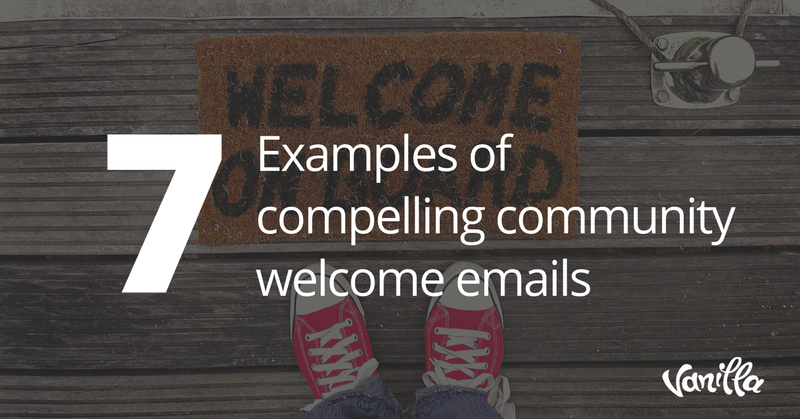 But when those changes happen, it’s important that you make sure your community members are tracking along with you. Otherwise, they’ll feel alienated and will ultimately check out. Why is your community here? What do you have to offer your members? What made them want to join in the first place? Thanks to Ted Turner's TBS Superstation, the Braves were the first major league team to enter a national television market back in the 1970’s. For a time, they were the only team you could follow on television from virtually anywhere in the country. As a result, despite their lackluster performance, they amassed a huge national following. Today, the current ownership structure is betting on that household status to hold. Fans, on the other hand, are much more regional than they once were. The Braves are no longer the only game in town. They compete like everyone else in the new digital media landscape. Just because you were successful last year, or even last month, doesn’t mean you can become complacent. The internet is a vast space, and there are plenty of other competitors ready to swoop in and relieve you of your audience if you can’t be bothered with them. Don’t take your people for granted. Don’t let your previous successes stifle your creativity. Keep developing exciting content. Push the envelope in finding new, creative ways to bring value to your members’ lives. 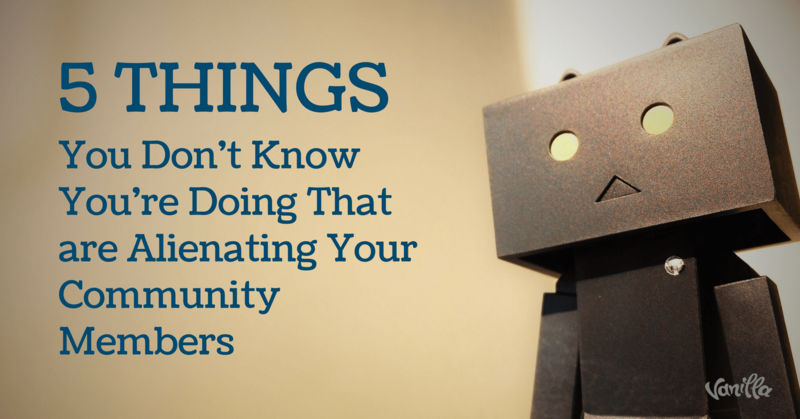 These are only 5 things community managers do to alienate their members. What else have you seen, either in your own community, or others?